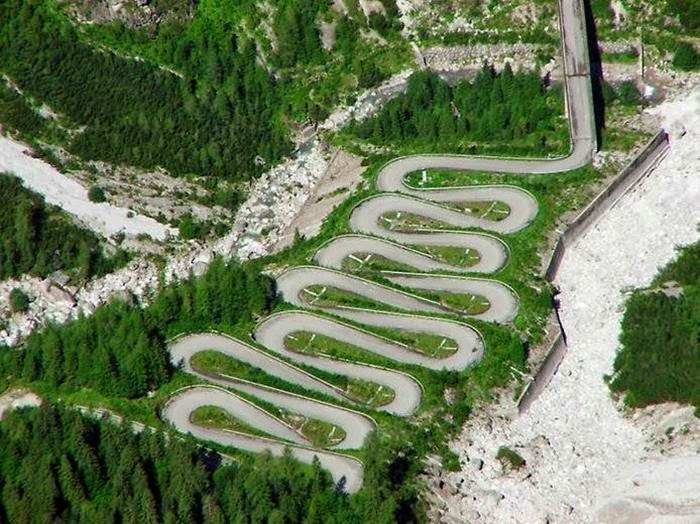 Forcella Lavardet is a high mountain pass in the Dolomites-Alps range, at an elevation of 1.542m or 5,000 ft above the sea level, located on the municipality of Vigo di Cadore, Italy. 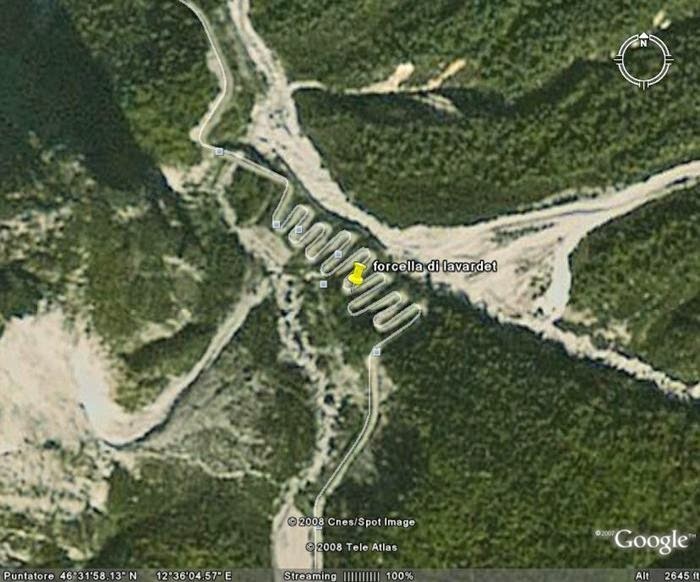 Laid here one of the most dangerous steep and dangerous roads in the world. 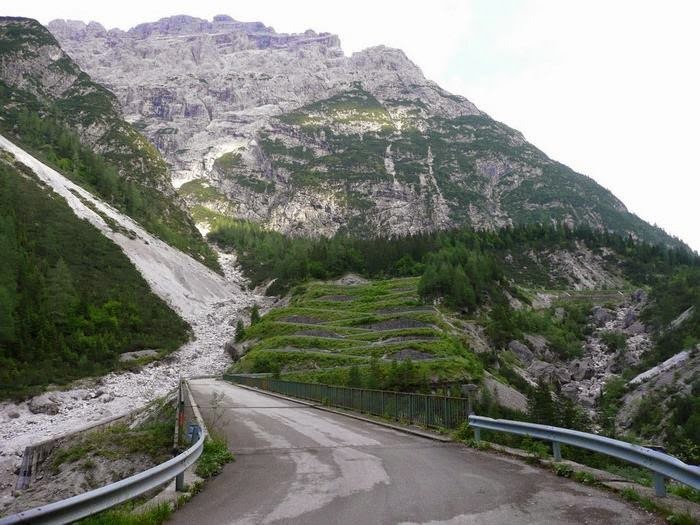 High Alpine Road Forcella Lavardet has 14 sharp turns that seem to lie on one another, gradually climbing up to the top of the pass. 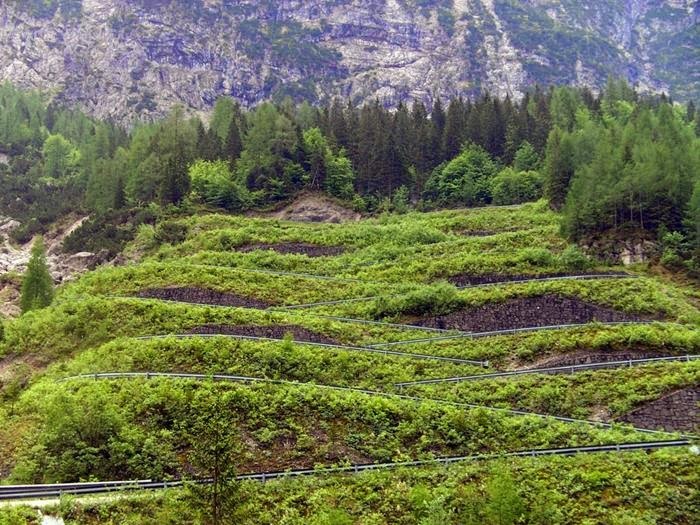 And without that dangerous road damaged by landslides in some areas it is not covered with asphalt and gravel. 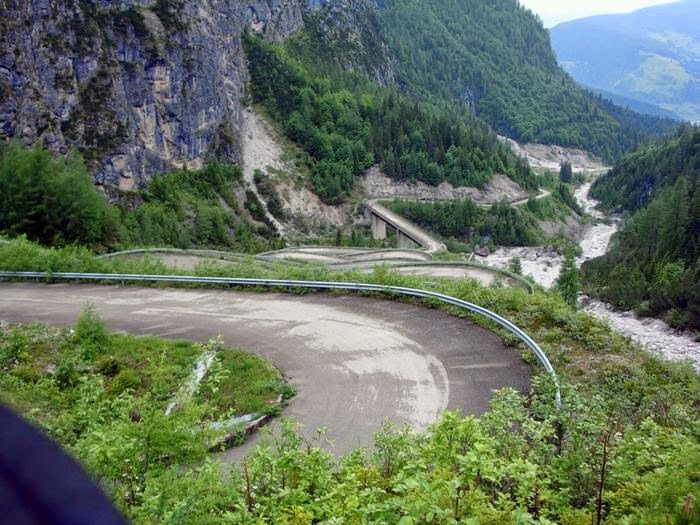 After a series of accidents on the road pass Forsell Lavardet was closed to motorists. Now it is a popular route for cyclists and hikers. 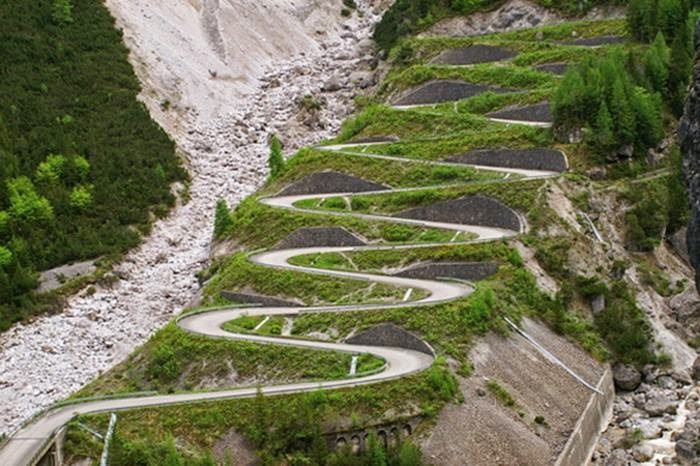 In spite of all the danger from the road looks very interesting and even beautiful. 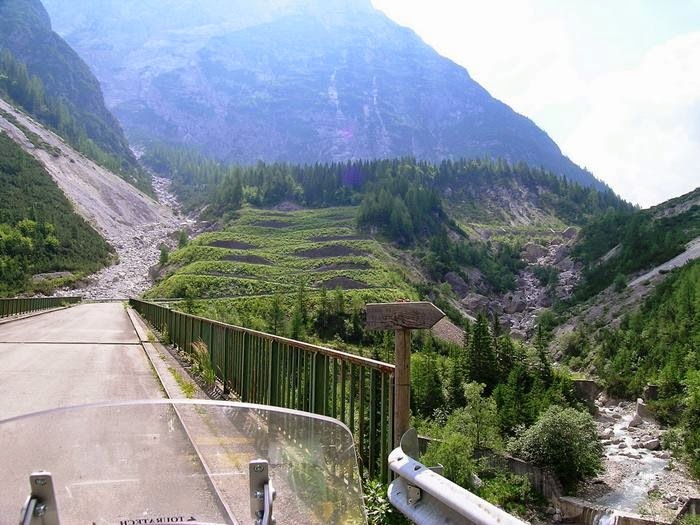 Quietly traveling in alpine serpentine Forsell Lavardet can enjoy wonderful views over the picturesque nature of the Italian Alps. 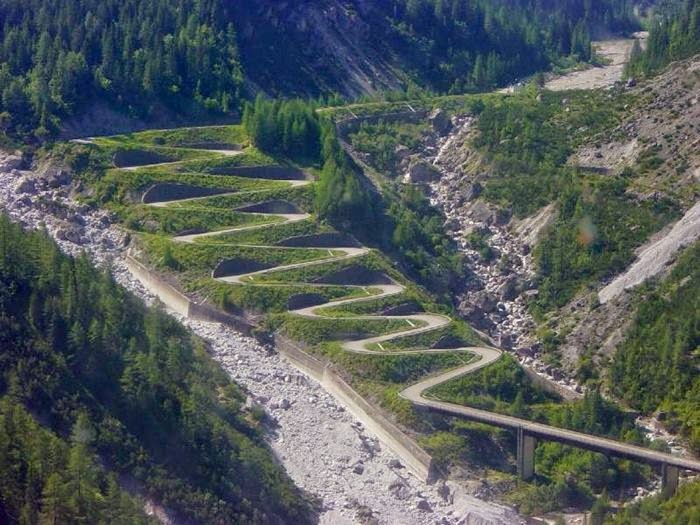 Despite all the variety of modern equipment and advanced technology, the designers roads simply have no other options. 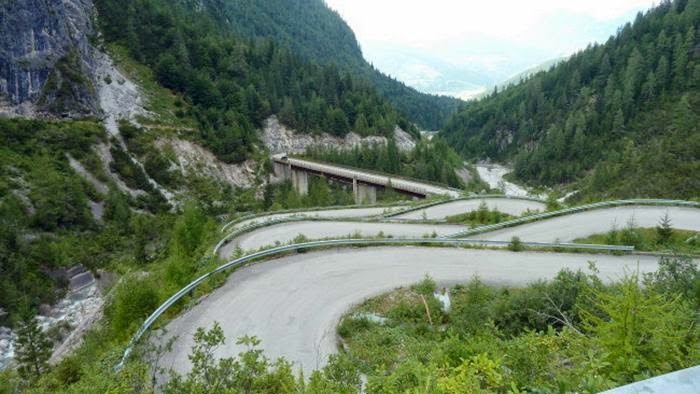 Roads in the mountains are famous for their sharp hairpin turns and often are particularly picturesque.